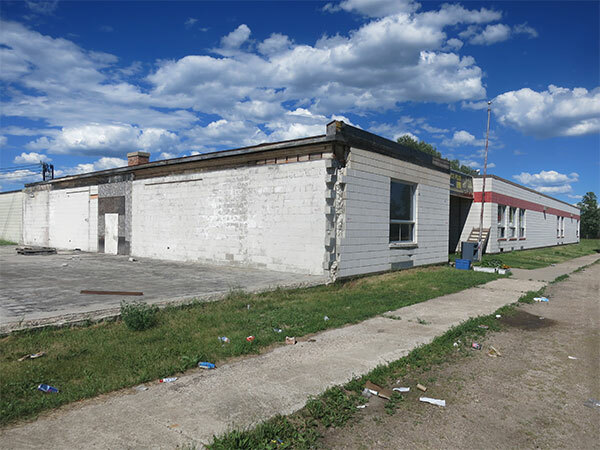 The Kelwood School District was organized formally in December 1904 and, in March 1905, classes commenced in a room over the general store in Kelwood, in the Rural Municipality of Rosedale. 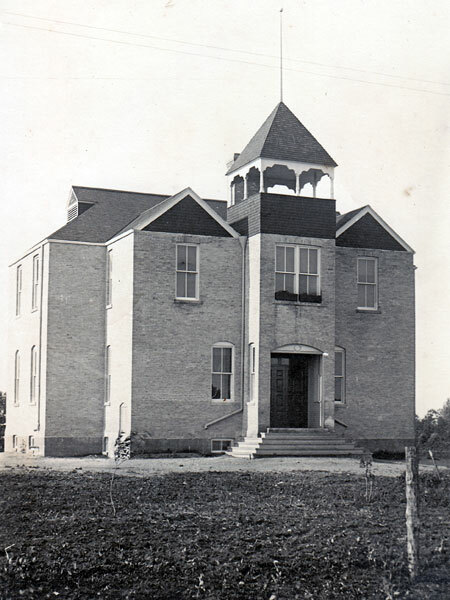 By the fall of 1905, a school building had been erected at a cost of $1,300. 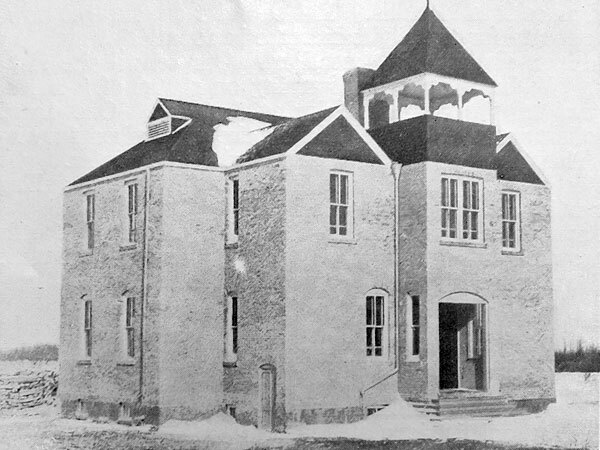 In 1910, the school was consolidated with Smith’s Glen School No. 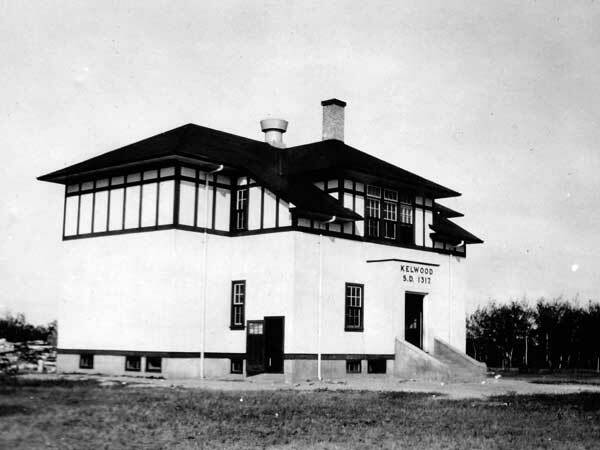 677 to form the Kelwood Consolidated School No. 1317. 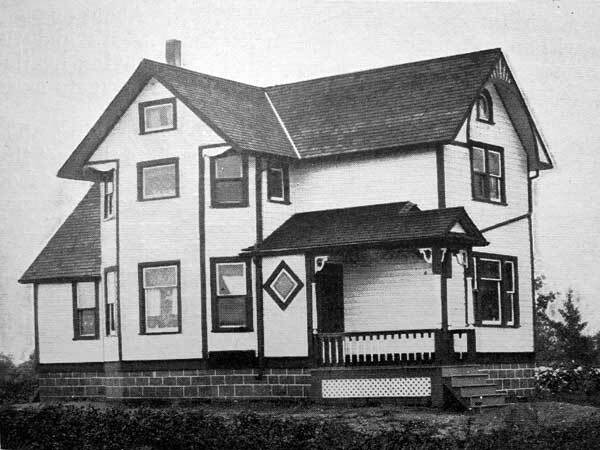 During the summer of 1912, a four-classroom, two-storey brick building was constructed on a five-acre site, and the former school building was sold for use as a private residence. The new school featured a full basement with concrete floor and was heated by hot air. It was opened by a ceremony held on 6 December 1912. This building was destroyed by fire in 1925. Classes were held in nearby Anglican and United churches until a replacement could be constructed two years later. It was a single-storey, four-classroom structure with a large basement containing lavatories and a chemistry laboratory. In 1979, the elementary and high schools were combined. The high school was closed in 1989 and the students were transported to Glenella School or McCreary School. Kelwood School had only Kindergarten to grade 8. Among the other teachers of Kelwood School were Miss Payne (1912), A. D. Russell (1912), Miss Robinson (1912), Miss McCrae (1912), Miss Davidson (1918), Mrs. Frank Smith (1921), Miss McGuire (1925), Mrs. M. Scott (1925), Mrs. F. M. Smith (1925), R. Walton (1925), Frances Mary Jones, E. J. Jarvis (1939), F. G. Stevens (1939), Miss Heyes (1939), Miss Wallwin (1939), Bertha Elliott (1944-1949), Miss Joyce McDonald (1946), Miss Daisy McIntyre (1953-1962), Miss Eleanor Terrick (1965), Miss MacDonald (1965), Miss M. Grimstead (1965), Ed Jarvis, Peter Drosdowech (1950s), Bill Welsh, Harvey L. Walker, and Keith A. Cosens. GR8461, A0233, C131-2, page 97. Kelwood Bridges the Years 1890-1967 by Kelwood Centennial Committee, 1967. We thank Malcolm Timlick, Nathan Kramer, and Mariann Freeman for providing additional information used here.